Dominic Santiago Luna says that the greatest lesson his parents taught him was to be successful and then share. He took that to heart as a student in Arizona State University’s School of Public Affairs. 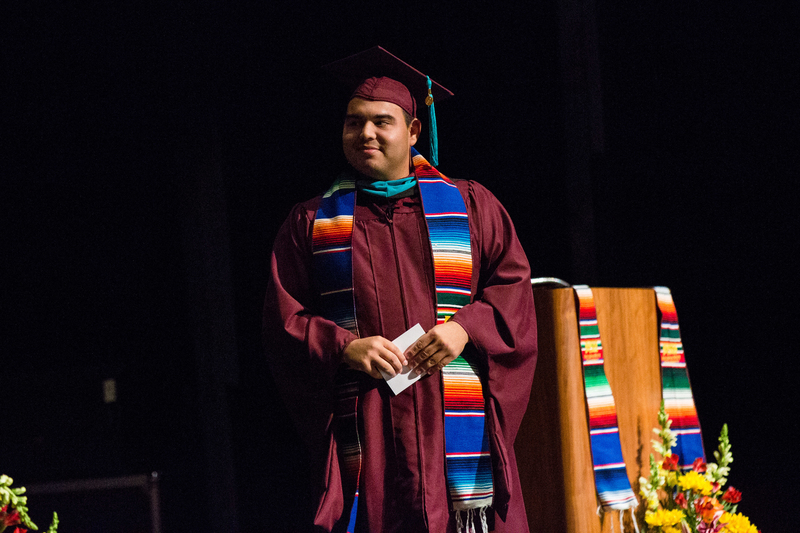 He was recognized for this effort with the Ed Pastor Outstanding Graduate Student Award at the Hispanic convocation last week. “Much of Dominic’s life is about public service and helping out those who are less fortunate and this has been exemplified by his time at ASU,” ASU Senior Vice President Christine Wilkinson said at the ceremony. While at ASU pursuing his master of public administration, Luna was active in the Graduate and Professional Student Association. He was elected as the assembly representative for the College of Public Service and Community Solutions. Through an internship, Luna saw the inner workings of the City of Sierra Vista. “The City of Sierra Vista was fortunate to have someone of Dominic's caliber and professionalism working as an intern this past summer. He worked on a variety of projects and made welcome contributions to city operations. More importantly, Dominic demonstrated a true passion and interest in community service,” said Mary Jacobs, assistant city manager for the City of Sierra Vista. Luna notes that he had some knowledge of how a city works, but that was greatly enhanced by the experience. Luna created and recorded a video in both English and Spanish to help educate business owners on how to register as a Disadvantaged Business Enterprise. Luna says that one of his most important accomplishments is teaching at Academia del Pueblo at Friendly House, which serves a majority Latino population in central Phoenix. He taught grades 6-8. “I was able to share what I learned as an undergraduate with students, and hopefully they will translate that into how they follow a path of public service,” he said. “They have so much potential to make a difference in our community." Luna was inducted into the Pi Alpha Alpha public administration honors society. He plans to apply to law school. His focus is on criminal and constitutional law.